The whirling, winged seeds of today’s conifers are an engineering wonder and, as University of California, Berkeley, scientists show, a result of about 270 million years of evolution by trees experimenting with the best way to disperse their seeds. Looy, former research assistant Robert Stevenson and former graduate student Dennis Evangelista, now at the University of North Carolina at Chapel Hill, will publish their experimental findings in a featured article in the March 2015 issue of the journal Paleobiology. 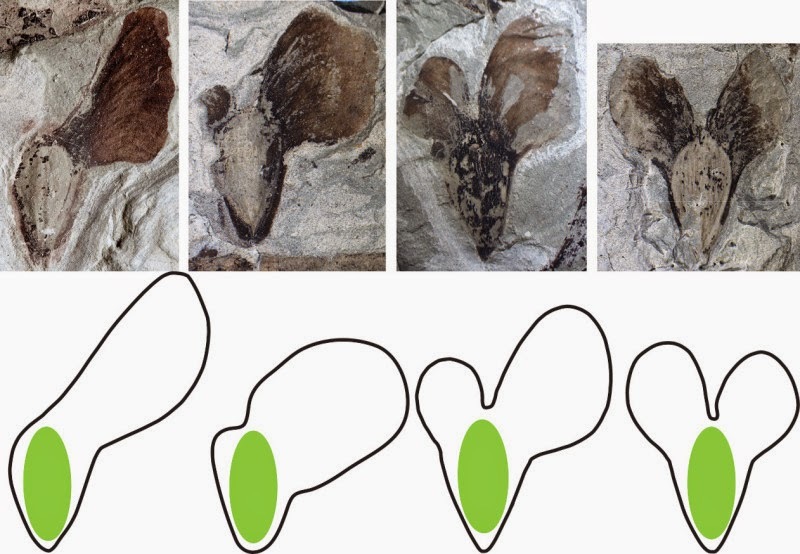 Air- and waterborne seeds became more common between the late Carboniferous — 320 million years ago — and early Permian, which began about 300 million years ago. At the time, most plant life consisted of lycopods, ferns, horsetails and seed ferns, with a few of the first cone-bearing trees, like conifers and cycads, appearing. Note: The above story is based on materials provided by University of California – Berkeley. The original article was written by Robert Sanders.